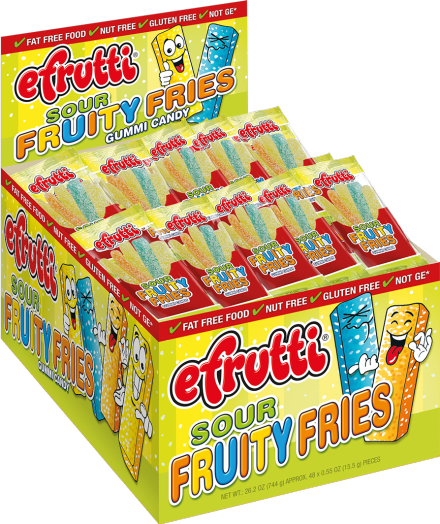 To complete our succesful range of fast Food gummi candy we have introduced the new Sour Fruity Fries. They are sour, fruity and they are fries. Coming in three different flavors (lemon, apricot, raspberry) our colorful fries are randomly packed into handy units of 5. Life is a treat with efrutti!